Natalie was absolutely amazing with my girls, a newborn and a 2 year old. As an extremely anxious mum, it was such a relief to immediately feel comfortable handing my tiny baby to her. Natalie is gentle and patient and what I've seen of my pictures so far is absolutely amazing! Extremely impressed with my experience and I wouldn't go anywhere else for photographs! More than just a photo shoot, a beautiful maternal bonding experience. Natalie is so easy going and makes you feel very comfortable throughout the session. Really love the pics and am so happy to have some gorgeous family photos. I highly recommend Natalie, you won't be disappointed. If you're after a beautiful keepsake for your family give Natalie a buzz. 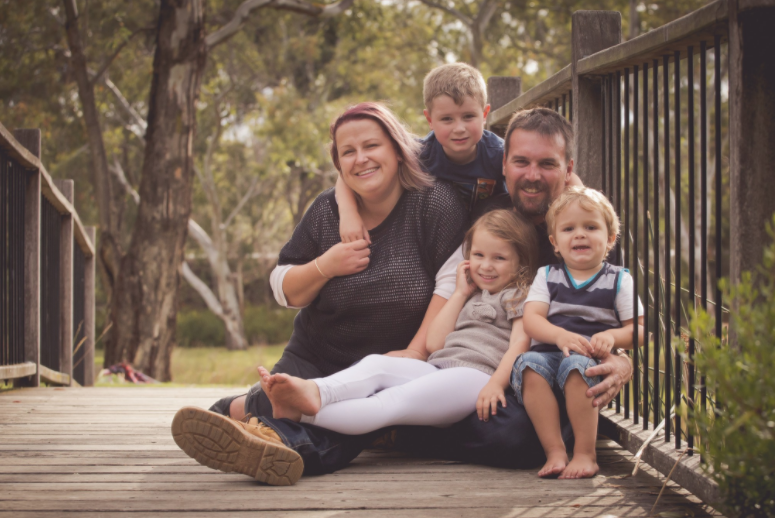 She's personable, great with kids and somehow manages to capture those magic moments in amongst the chaos of a family shoot (or any for that matter!) We all had our grump on the day of ours but Nat somehow captured the jovial, smiley essence of our crazy clan. Natalie did such a fabulous job capturing beautiful images that truly capture the personality of our very energetic little ones..a lot of patience and skill! Nice and local too..highly recommend! Natalie was amazing with master Dash and we couldn't be any happier with the finished product! Best experience, thank you! We had our family photo session with Natalie last year, the whole experience from pre-planning, discussing locations, the actual session and the difficult decision of choosing our favorite images was all made much easier with this wonderful lady! She is so friendly, calm and professional :) Thankyou so much for all your effort Natalie, look forward to our next session with you soon! Absolutely incredible photographer. She was so calm and gentle with my baby girl and the photos are divine. I highly recommend Natalie. Amazing! Thank-you so much! Natalie does a fabulous job! She is so patient and kind, and she captures beautiful moments, and manages to let personalities shine through. Love my photos! Natalie was so patient with my daughter and I'm so thrilled with the final product. Highly recommended. So very happy with the final products. Nat is EXCELLENT at what she does and will be back for Reefs milestones for her to capture more moments.